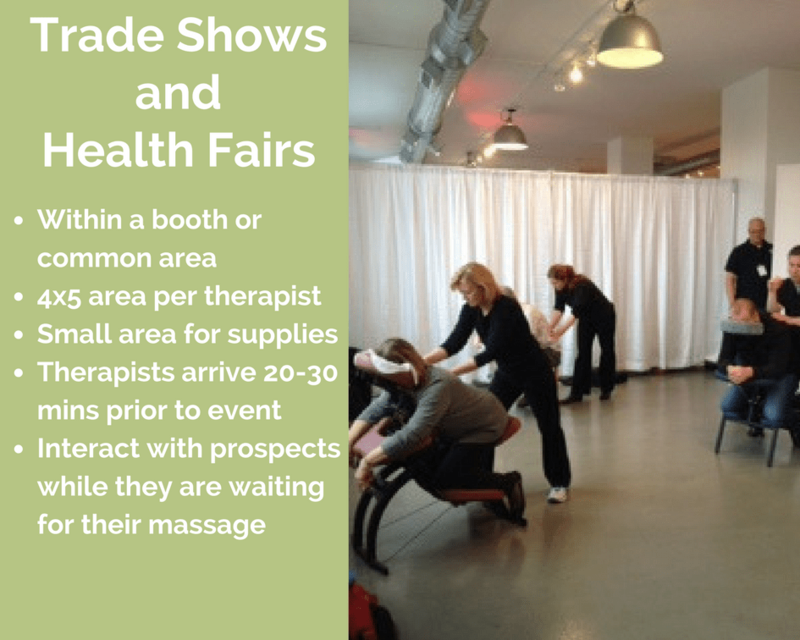 Jacksonville Beach corporate chair massage services available for your corporate wellness program or as a great gift for employee appreciation events. 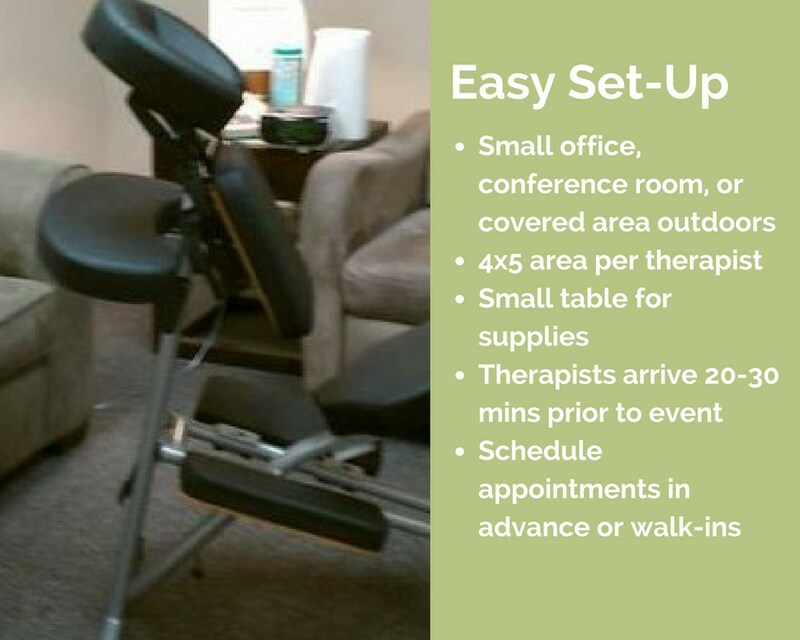 Our mobile chair massage services are available on-site at your office throughout the Jacksonville Beach, Florida area. Our therapists use a combination of chair massage therapy techniques such as swedish massage trigger point therapy, myofascial release, and stretching. Massage therapy helps reduce muscle tension in the body decreasing chronic pain and stress. Tightness in the muscles can contribute to headaches, sciatica, tendonitis, and low back pain.